Changing to a Combi Boiler | Convert to Combi Boiler | Is it a good idea? 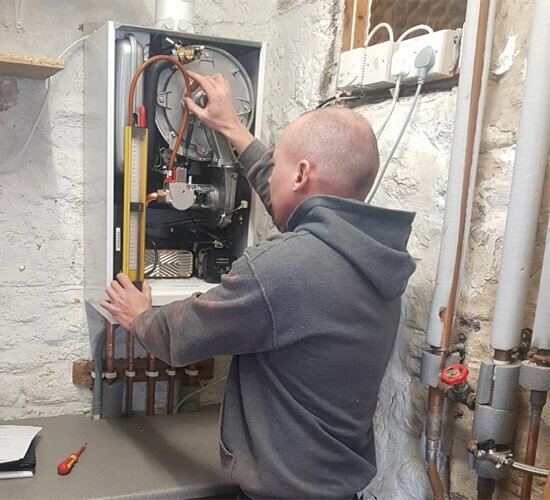 Changing to a combi boiler can be a walk into the unknown, especially if you’ve never had a combi boiler in your property before, and you’re switching from an old back boiler, standard boiler, or a system boiler to a combi boiler. Some clients may want to avoid changing to a combi boiler and stick with the known quantity, i.e. their comfort zone. Especially if they have a larger property and require hot water simultaneously from multiple outlets. But we’re getting close to 2020, and these days there are solutions for every problem as we’ll discover later in this post. Is it Worth Changing to a Combi Boiler? Why Change to a Combi Boiler? One of the most important reasons for changing to a combi boiler is energy efficiency. According to the Energy Saving Trust, replacing a 12-15 year older boiler with a new A-rated condensing combi boiler can save you up to 40% on your energy bills. Internal components of a boiler go through ridiculous thermal stresses on a daily basis. Over time this results in corrosion. Corroded parts can bring the efficiency of a non-condensing boiler down to 70% to 50% over years of use. In monetary terms, that means you may be losing £30 to £50 of every £100 you’re spending on your energy bills. Changing to a combi boiler, especially a modern, A-rated condensing combi boiler can help save you that money because they are over 90% efficient. There are some premium combi boilers like the Viessmann Vitodens 200-W which are 98% efficient and above! Another reason is you don’t need to store hot water, because combi boilers produce hot water on-demand. Whereas a regular or a system boiler stores hot water in a cylinder. And whether you use that water or not, it eventually cools down and the boiler has to fire up again to heat it. That is extra energy getting wasted. Higher Energy Efficiency for Modern Condensing Combi Boilers. Great Space Saving Solution. No need to have a cylinder or attic tanks. More room in airing cupboard and attic. 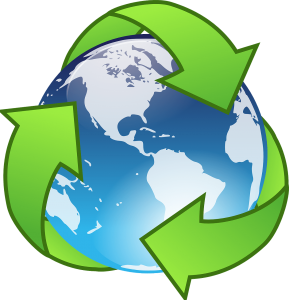 Combi boilers may be more energy efficient in some cases compared to conventional boilers. Condensing technology makes modern combi boilers over 90% efficient. Flagship models from top UK boiler brands are 92% to 94% efficient. Premium, high end boilers like Viessmann 200-W are above 98% efficient. Perfect central heating solution for flats and small houses. Regular and System boilers produce hot water twice a day, whether it’s used or not. If the hot water isn’t used, it cools down, wasting energy. Combi boilers produce hot water on-demand, i.e. only when it’s needed. Storage Combi Boilers available for larger properties with 2 showers. Compact combi boilers also available which can fit inside a kitchen cupboard. Okay, you’ve got the quote, what next? It’s good practice to always communicate clearly your heating and hot water needs to a surveyor or heating expert you will be talking to on the phone. You will answer property size related questions going through the quoting tool anyway, so it should pick the most suitable boiler for you. If not, our in-house heating experts can always make that decision easy for you. Once you’ve agreed to the combi boiler installation, and agreed to a date, your next steps are simply to wait. Drain Existing Heating & Hot Water System. Remove Existing Thermostat and Controls [If Needed]. If you’re switching from Open Vent/Regular to Combi, remove cylinders and attic tanks. Convert Heating System to Combi. Upgrade Gas Run to 22mm. Conversion to Combi can sometimes add an extra day. Install the New Combi Boiler. Perform a Chemical/Power Flush on the Entire Heating System. Install DeAerators and/or Magnetic Filters. Install Smart Wireless/Internet Enabled Programmable/Learning Thermostats. Configure Smart Thermostats to work with the new boiler. Commission and Test to MFI and Complete Benchmark. Supply Building Regulation Notification with Certification. Hand Over & Induction on Boiler, Controls and Best Usage. How Hard is it Changing to a Combi Boiler? Gas Safe Registered Engineers spend 5 years studying, and hit their true level of experience in 5-10 years. Flue Gas Analysers, which cost between £600 & £1000, are required by law. Suitability of the combi boiler for the property needs to be checked. If you or your plumber are not Gas Safe Registered and make a new gas connection to a boiler = heavy fines or prison. PLEASE NOTE: These are average, approximate costs including installation and extras listed in the installation steps section earlier in the post. The reason we’ve given an approximate cost range is because these costs can vary greatly depending on the type of boiler (whether low end, mid range or high end flagship premium boilers). To get a more accurate price estimate for your property size and other options, our intelligent quoting tool can help you. Our online boiler quote is free, you are under no obligation to buy, and the whole process takes a few minutes to complete. Simply enter your postcode below and hit the green button. PLEASE NOTE: The price you’ll get through the quoting system for changing to a combi boiler is a rough initial estimate. Always check with our team to confirm prices and see if we have any offers available. You can call us on 029 2009 9898 or email us at sales@boilerhut.co.uk.